Have you sometimes thought that it would be great to be a farmer, but you just don’t want to live out in the country? Or maybe you would like to earn some profit from your home without having to make a huge investment? Then you would be perfect for Backyard Farming! And this doesn’t mean that you have to house chickens or other livestock. Most people who have a backyard farm are simply interested in growing vegetables. Whether they live in the country, suburbs, or an urban area, many people are learning to take advantage of the space that they have in order to grow food for their families and also make a profit. How To Get Started With Backyard Farming. Turn Your Backyard In To A Money Making Garden. The answer to this will likely be very different for some people over others. Some urban farmers simply want to feed their families with fresh produce right from their own backyard. Others may want the satisfaction of growing their own food, or selling it to make a profit. Still others may be interested in raising their kids with the skills of backyard farming as an educational opportunity. Whatever your goals are, be sure to set them out before you so that you know when you’ve reached them! If you are a retired person then you’re likely to have more time than a working mom. But if you’re raising chickens as part of a homeschool project and your kids are capable of taking care of them, then that’s a completely different story altogether. Before you make a commitment to a project, make sure you understand what’s required of you. Starting a backyard farm doesn’t have to break the bank, but it also may bring up unexpected costs. Do your research on the cost before going in. In some cases you can borrow things like gardening tools to get started. But other things (such as the vet bill for the rabbits your daughter just had to have) may be impossible to avoid. Starting a vegetable garden can be one of the least expensive—and most profitable—ways to begin your backyard farm. It’s a great way to get yourself and your family outdoors, it can be done part time, and it yields a quick and easy return on your investment. Using a system such as Seed to Cash allows you to know exactly how much the original investment is going to cost you, as well as exactly how much money you are likely to make in a certain amount of time. For instance, the Pilot Program for Seed to Cash has a low startup cost of under $70 and can yield up to $200 in profit in as little as two weeks. 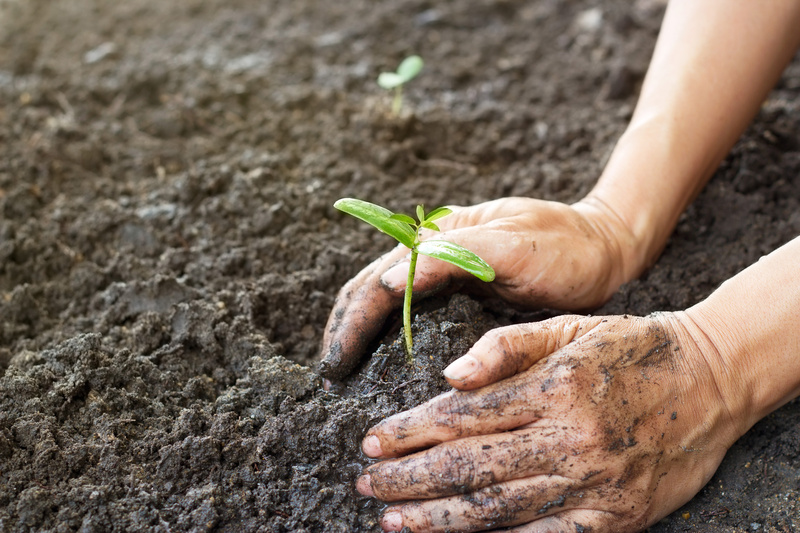 Plus, this type of small commitment allows you to decide if backyard farming is right for you, and then move up to bigger areas and more crops as you learn and grow your farm. Consider now your desire to be a backyard farmer, and then get started today!